Another of Magik Digital’s bigger clients, this huge website has led to many new clients for Abergeldie and Magik Digital alike. 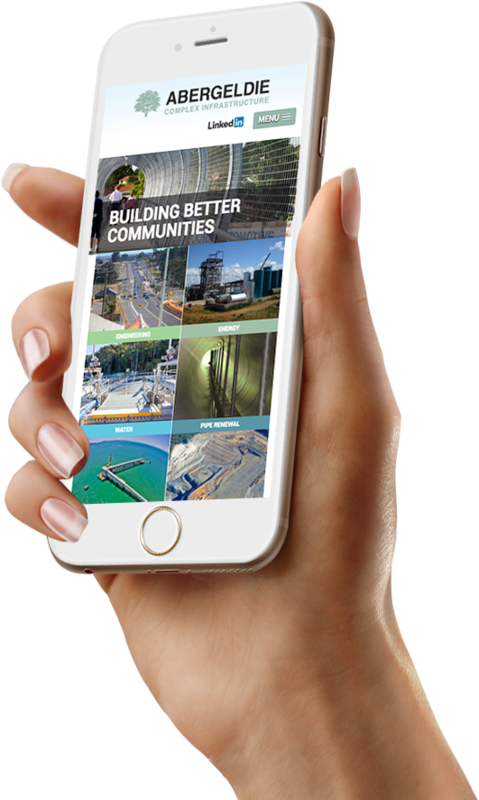 By showcasing Abergeldie civil engineering infrastructures on a clean, simple but beautiful website, many Abergeldie site visitors have gone on to request that Magik do its Magic on their sites. Magik Digital is privileged to list Abergeldie as one of its largest long-standing, customers and is looking forward to continuing in this role well into the future. 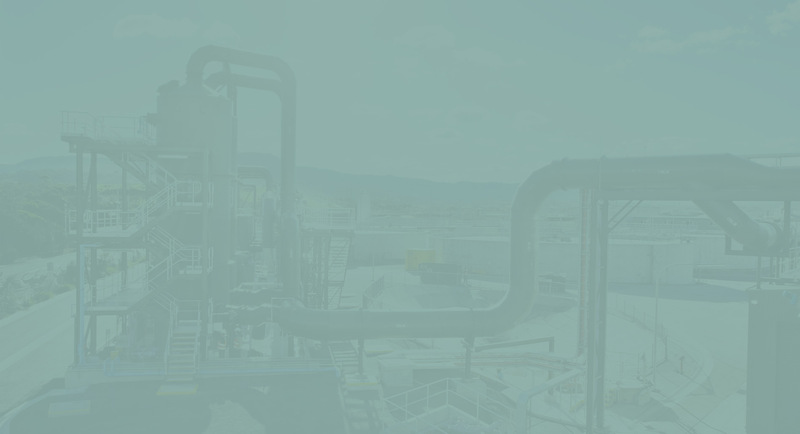 Abergeldie employs approximately 450 people across Australia, New Zealand, Northern Ireland and Canada. It is a leading mid-tier infrastructure provider specializing in water, dams and marine refurbishment and constructions, but also providing quality transport system, energy, tunnelling, pipe, petrochemical and remediation works all over the world. Designing and building according to the Abergeldie motto – Building Better Communities – has led to countless awards. As Abergeldie’s website design and management provider, Magik Digital consistently seeks to create a visual concept representative of this leading civil engineering firm’s precision, professionalism and experience. 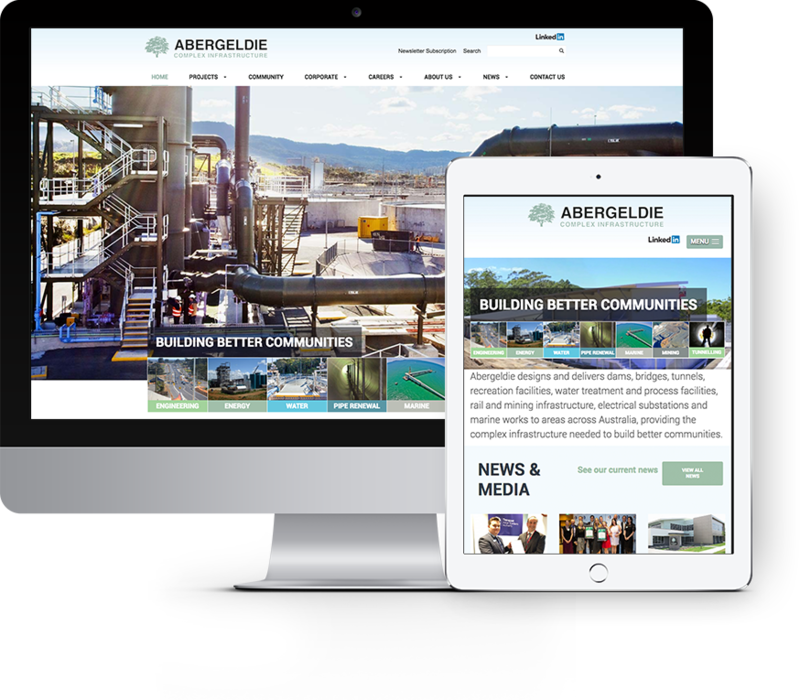 With three website versions designed, created and managed over the past eight years, Magik Digital has become familiar with Abergeldie’s scope and mission, translating this knowledge into a product highly appreciated by both client and visitor. As a leading civil engineering company, Abergeldie projects cover a huge array of complex public and private infrastructures. Their multi-page website constitutes photographs and descriptions of a large number of constructions. Featuring water reservoirs, water quality centres, complete bus stations with all facilities and utility connections, wharfs and bridges and countless other types of civil constructions including a castle renovation in Ireland, this diversity of service created its own set of challenges. How does one design a responsive, quick-loading website of this scope? Together with implementing a soft colour palette that suited the shades of the Abergeldie logo, the first step was to create an easy to navigate menu with logical subsections. Not only did Magik Digital need to publish an entire portfolio of completed works, Abergeldie also have a strong sense of corporate responsibility, supporting multiple charities. These social and charitable institutions, together with a careers-search option, multiple licenses, associations and affiliations, environmental and health and safety certification, quality assurances, brochures, news page and mission statement all required their own set of headings. Only by finding the most logical method of categorization could Magik Digital then move on to website content. Showcasing Abergeldie projects was yet another huge undertaking. Using images provided by Abergeldie, it soon became clear that each project should have its own page; each complex undertaking was simply too big to share space. By adding a map feature to every project, Magik Digital made it possible for visitors and potential clients to use map locations where aerial and bird’s eye views could be consulted. This map feature, in addition to static imagery and detailed descriptions of each task, did not visibly slow down the navigation process. Sliding banner stills instead of extensive video footage (which for older engineering works was not available) created a sense of motion without the extra data of video, and without compromising on loading speeds. The user experience is therefore rapid, smooth, and both visually and legibly interesting.